The Chinese are leading the way to the future of your transportation. It's autonomous vehicles on "intelligent" highways. The smart roads are paved with electric battery rechargers, mapping sensors and solar panels. The rechargers will repower electric cars as they drive along. 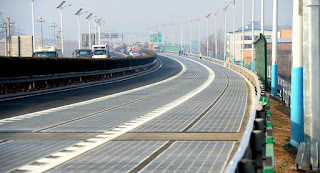 Some call China's super intelligent highway "the Solar Expressway". 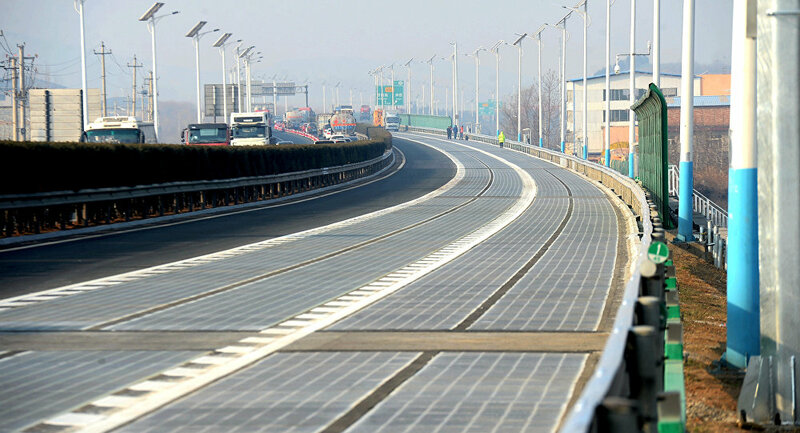 China's smart road has been built in the city of Jinan. It's 3,540 feet long and the technologies are being embedded under transparent concrete. The solar panels that are already embedded generate enough electricity to power highway lights and 800 nearby homes. 45,000 vehicles barrel down the smart highway daily. This Chinese smart highway is the road to our transportation future. It's part of President Xi Jinping's plan to make China an advanced manufacturing, technology and innovation power by 2025. It's a smart, solar powered road to the future of smart cars. It costs about $6.5 million.